Significant differences in the Urantia Papers and Current Science? The earth experienced its biggest mass extinction about 250 million years ago, an event that wiped out an estimated 95% of marine species and 70% of land species. New research shows that this mass extinction did more than eliminate species: it fundamentally changed the basic ecology of the world's oceans. Lidgard added, "When Pete walked into my office with his preliminary results, I simply couldn't believe them. 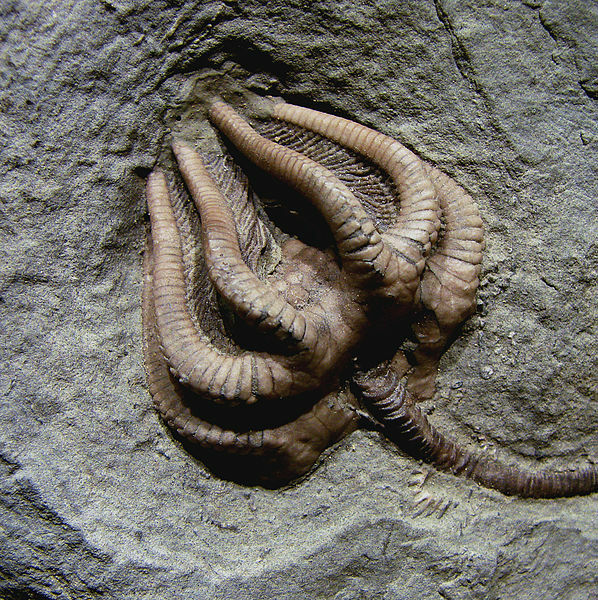 Paleontologists had long recognized that ecosystems had become more complex, from the origin of single-celled bacteria to the present day. But we had little idea of just how profoundly this one mass extinction--but not the others like it--changed the marine world." The Permian–Triassic (P–Tr) extinction event, informally known as the Great Dying, was an extinction event that occurred 252.28 Ma (million years) ago, forming the boundary between the Permian and Triassic geologic periods, as well as the Paleozoic and Mesozoic eras. It is the Earth's most severe known extinction event, with up to 96% of all marine species and 70% of terrestrial vertebrate species becoming extinct. It is the only known mass extinction of insects. Some 57% of all families and 83% of all genera became extinct. Because so much biodiversity was lost, the recovery of life on Earth took significantly longer than after any other extinction event, possibly up to 10 million years. Researchers have variously suggested that there were from one to three distinct pulses, or phases, of extinction. There are several proposed mechanisms for the extinctions; the earlier phase was probably due to gradual environmental change, while the latter phase has been argued to be due to a catastrophic event. Suggested mechanisms for the latter include large or multiple bolide impact events, increased volcanism, coal/gas fires and explosions from the Siberian Traps, and sudden release of methane clathrate from the sea floor; gradual changes include sea-level change, anoxia, increasing aridity, and a shift in ocean circulation driven by climate change. According to the Geologic Time Scale on Wikipedia, the P-T event was 251 million years ago. According to the Marine Life Era paper, "250,000,000 years ago witnessed the appearance of the fish family, the vertebrates, one of the most important steps in all prehuman evolution." This was in the period which "has become known to your researchers as the Devonian." According to the Geologic Time Scale on Wikipedia, the Devonian began 420 million years ago. The peculiarities of this new period were not due so much to the cooling of the earth’s crust or to the long absence of volcanic action as to an unusual combination of commonplace and pre-existing influences — restrictions of the seas and increasing elevation of enormous land masses. The mild marine climate of former times was disappearing, and the harsher continental type of weather was fast developing. And this paper describes the Permian, and the Paleozoic Era, as concluding only about 160 million years ago. I've long known the "known" geologic time and the Urantia Papers' geologic time scale differed. I've never really taken the time to research exactly how much difference there really is. Or why this should be. If the Papers are to be credited, either they used the "knowledge of the time" and the scale of epochs has since been modified, or our measurements of time are off by an amount which the Papers are helpfully correcting. The latter explanation would suggest, of course, some problem with our assumptions about radioactive decay (the yardstick of geologic time). And lo and behold, in his article, History of Life, I find one Dr. Chris M. Halvorson parses an explanation from Papers 29 and 42. "The Master Physical Controllers, specifically, the energy transformers [link], have regulated radioactivity (42:4.10) over the span of geologic time, according to the evolution plan of the Life Carriers. In the past, the rates of radioactive decay were greater than the present rates. Therefore, radiometric dates, which are determined by assessing the degree of decay, overestimate the crystallization age of a mineral in a rock, especially if the mineral was formed in the remote past. For the oldest rocks on the surface of the earth, the radiometric dates are about four times greater than the actual dates." I must admit, Dr. Halvorson's extrapolations seem oblique to me. I didn't find any "according to the plan of the life carriers" reference involving Energy Transformers modifying radioactive rates of decay, nor any reason to assume there was any such claimed variance in the rate of decay, or any other substantive modifications of the normal workings of the universe, either at the behest of the Life Carriers or for any other reason, save that they are personally on inhabited worlds and help "insulate the planets against the powerful energy streams passing between gigantic planetary and starry neighbors." But Paper 29 is emphasis-in-the-original clear that "They can and do change the physical form of the energies of space." So, maybe, Dr. Halvorson. I'm not a Dr. and I don't play one on TV. By Dr. Halvorson's chart, the differences between current scientific and the Papers' time scale is none in the recent, and increasing (up to 4x) by the earliest geologic strata. Although the difference shown in his chart is not a steady progression, the variations from a straight line or curve could be within the margin of error in geologic terms (which margin increases the further back in time one goes). Dr. Halvorson began his paper noting that the time periods are only approximations, and there is not exacting agreement among all geologists on all points. So, it may simply be that the rate of radioactive decay is over-estimated in the (geologically) long term. Perhaps a smooth change of rate based on, I don't know, the expansion of the universe, rather than an interventionist variation by Power Directors. This is the kind of noodling a knucklehead non-scientist like me can come up with. My search for any other research relating the Papers' timescale with science's, alas, just turned up more copies of Dr. Halvorson's paper. And I'm not quite prepared to start researching the possibilities of mis-estimations of long-term radioactive decay rates, right now. The extinction event of 250 million years ago, estimated 90% kill rate. From Peter D. Ward's book Gorgon on his decade of work in the Karoo of South Africa, he came to the conclusion it was multiple events that lead to that extinction event. From too much iron being exposed to the air and stealing oxygen to the Siberian lava traps erupting. From Anna's brief remark, this does sound kind-of like the "an unusual combination of commonplace and pre-existing influences" as the Life Carrier of Nebadon said in Paper 59. Now I'll have to track down Gorgon. In my geologic free time.